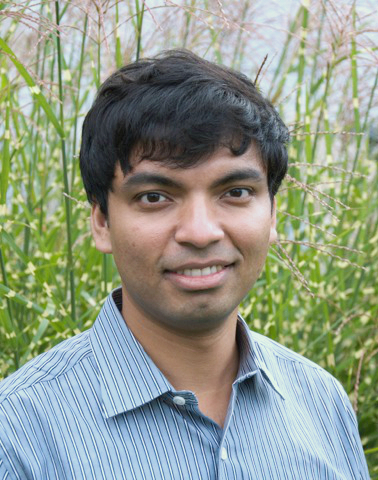 Since September 2014, I am an Assistant Professor in the College of Information and Computer Sciences at the University of Massachusetts, Amherst and the co-director of the Computer Vision Lab. I am affilated with the Center of Data Science and AWS AI. Prior to this I spent three years as a Research Assistant Professor at TTI Chicago, a philanthropically endowed academic computer science institute in the University of Chicago campus. I obtained my Ph.D. under the supervision of Jitendra Malik from the University of California at Berkeley in 2011, and a B.Tech. in Computer Science and Engineering from IIT Kanpur in 2006. In the past I have enjoyed working at Google, INRIA LEAR group, Microsoft Research India, the CLSP center at Johns Hopkins University, and Oxford University. My research is funded by the National Science Foundation, as well as faculty grants from Facebook, NVIDIA, and Adobe. Here is a detailed CV. My research focusses on computer vision with a particular emphasis on algorithms for high-level recognition. My goal is enable cheap and robust sensing of the visual world using cameras powered by computer vision. For an overview of my research take a look at my recent publications and projects. I am also on Google scholar. A better computer science department rankings: http://csrankings.org. 2/19 Invited talk at ICERM @ Brown University. Talk slides. 1/19 Co-organizing FGVC6 workshop at CVPR 19. 1/19 I'll serve as an area chair for CVPR 19. 10/18 NSF grant awarded for machine learning for Astronomy. 8/18 A recent talk at Caltech summarizing our work on 3D shape generation. 7/18 Two papers and a workshop paper accepted to ECCV 18. 6/18 NSF CAREER grant awarded. University press release. 4/18 Invited talk at the annual data science resesarch symposium. 12/17 I will serve as an area chair for CVPR 2018. 10/17 Invited talk at the Manifold Learning Workshop @ ICCV 17. 7/17 Dark ecology project funded by NSF. Link to the press release. 4/17 Department colloquium speaker at RIT and UoR. 6/16 Received NSF grant for language-based understanding of textures, and a gift from Facebook. 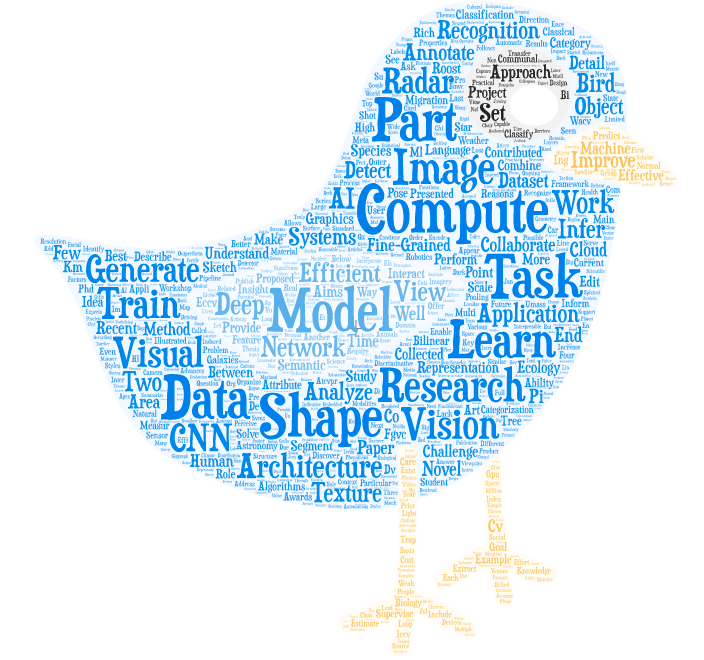 Here is a wordle of my research statement. I occasionally draw and paint.